Don’t get caught without your green on St. Patrick’s Day! 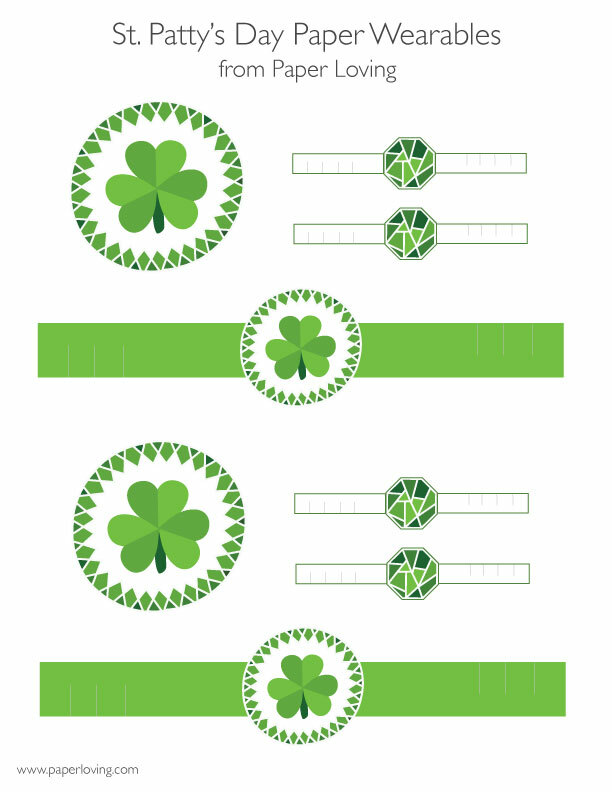 No worries… as long as you have a printer you can print out these easy-to-wear St. Patrick’s Day embellishments. I was always caught on St. Patrick’s Day with no green in my wardrobe, and would have to come up with some silly way to add green to my clothes. Just print and cut and you’ll be pinch-proof for sure! Click the image below to download the free printable PDF! Tip: Use heavy paper/cardstock if you have it for added durability. These printables are now available here. St. Patrick’s day is a great excuse to have a party (if you really needed one) and nothing says party like photo booth props. We’ve created these Lucky Leprechaun photo booth props for your St. Patty’s day enjoyment! Download for free for your personal use. Print the PDF out and you’ll be ready to get your leprechaun on in no time! Most of the shapes can be cut with sharp scissors, but you may want to use an x-acto knife for the striped shamrock shades. Have fun with these and be sure to share the photos you make! 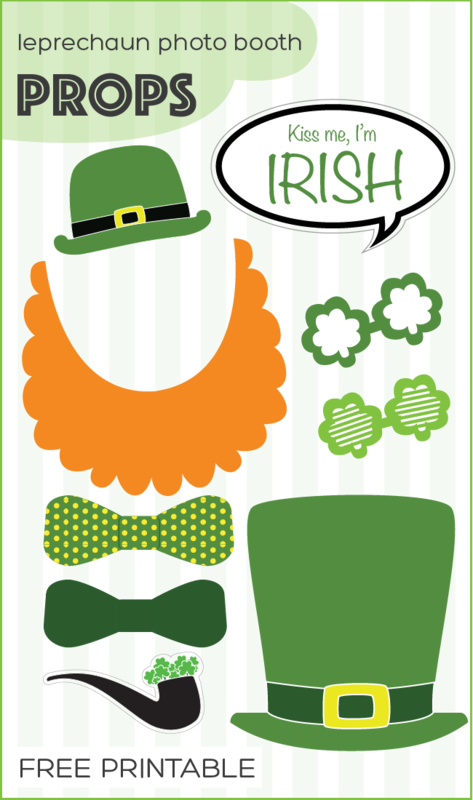 Click here to see all of our St. Patrick’s Day Printables. This free box template is just the right size for a Hershey’s Kiss! 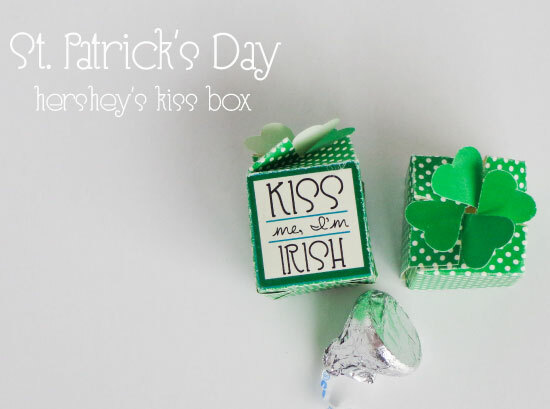 St. Patrick’s day is as good a day as any to give away kisses, so why not make the treat a little more special by offering your gift in this St. Patty’s Day themed box complete with a 4-leaf-clover lid closure. To make the box, you’ll need the box template and folding guide (click image below), small sharp scissors (or an x-acto knife), a ruler, a bone folder, and either glue or double-sided tape. Take special care to make good creases with your bone folder along the folding lines, especially towards the top of the box where the heart clover “petals” are.